Wildcat Bridge was built over Wildcat Creek, which runs through Montalvo's property near the Lucas Artists Residency and the Creekside Studio. 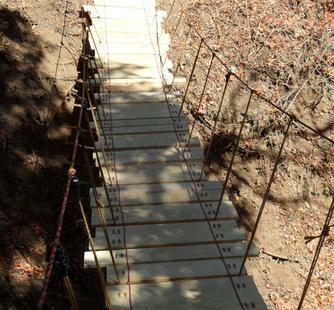 It was build by kids attending a summer bridge-building camp in 2013. For safety reasons, please do not attempt to cross the bridge!